A Little Bit Nasty! ALL-STAR CELEBRITY APPRENTICE Season 13 Finale! Recently renewed for another season, NBC’s celebrity competition show “The Celebrity Apprentice” has made earning money for charities cut-throat. Teams of celebs ranging from musicians’ to realty show stars, one in which the show itself made famous, Omarosa, will crown a new victorious leader that won’t be fired, but hired on Sunday night, May 19 wrapping up season thirteen. 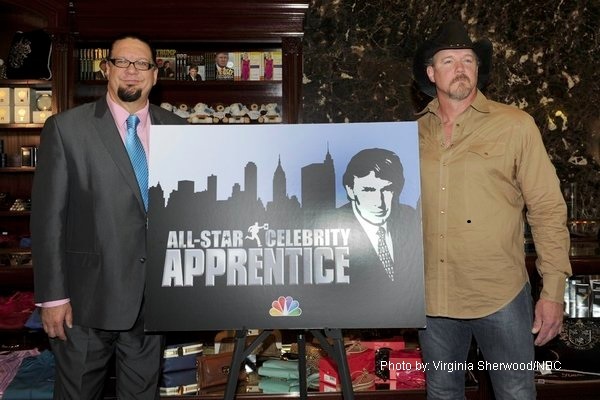 Serving as an Executive Producer and host of the show, real-estate mogul who’s also “The Celebrity Apprentice” boss, Donald Trump joined finalists Trace Adkins and Penn Jillette in a conference phone interview with multiple media outlets. Trump said during the call that it’s “The Celebrity Apprentice” formula which works so well that keeps the show around. “I don’t want to change it too much. It’s a good formula and it works,” he said. Trump also confirmed that casting for “The Celebrity Apprentice” season 14 has already started. He said that in the earlier days of “The Celebrity Apprentice”, nobody wanted to be fired. “After the first season, it was so good for Joan Rivers and everyone else. We are going to have an amazing cast” Trump said of season 14. He also credited Piers Morgan and Omarosa as helping the show along in the beginning for providing so much “great television” because of their many heated arguments. On the results of how well the two played the game, Trump said, “They both did great. They’re both winners. Their both talented people. I have the hard job. I have to fire one of them.” Jillette said he thinks he did a slightly better job than Trace, and that Trump doesn’t have to fire anyone. These two fierce and highly competitive finalists are actually friends in real life. Trump said he’d prefer it if they weren’t (for better TV). “These two guys actually like each other. We usually have 2 people in the finals that don’t like each other and I like that better,” said Trump. If your a celebrity and want to do well on “The Celebrity Apprentice” Trumps points out that you’d better have good stamina. He said of the many athletes on the different seasons, Joan Rivers who is in her seventies was able to outlast a lot of them when she was competing in season 8 of “The Celebrity Apprentice”. 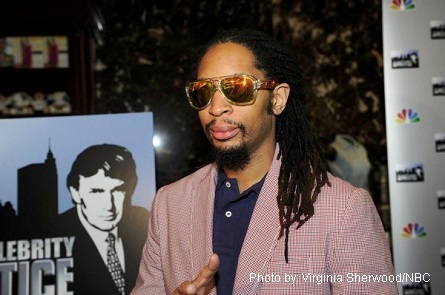 Pictured: Lil Jon. Many fans wanted to see him in the final two. 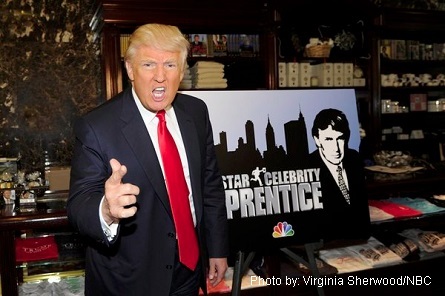 See which celebrity – the magician, Penn Jilletter or the country singer will be “hired” on “The Celebrity Apprentice” Sunday night from 9-11 pm (PT) on NBC.